Xoriant President and Chief Technology Officer Subu Subramanian has extensive leadership experience in product management, engineering and operations. At Xoriant, Subu is responsible for building out our services and solutions in the major focus areas: Product Engineering, DevOps, Cloud Infrastructure & Security, Big Data & Analytics, Data Management & Governance, Digital and IoT. His focus includes developing our intellectual property through innovation and accelerating time to market for our customer’s initiatives. Before Xoriant, Subu held product management and engineering responsibilities for software platforms supporting the Cisco services business. He was also the VP/GM of Cisco’s Smart Services. 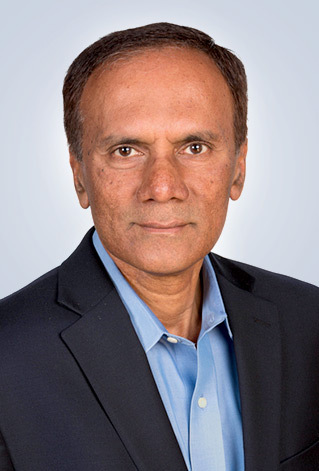 Prior to Cisco, Subu held a variety of product management and technology leadership positions at AT&T. He continues to serve the tech community as a mentor for several startups. Subu holds a doctorate in operations research from Univ. of California, Berkeley and a bachelor’s degree in mechanical engineering from Indian Institute of Technology, Madras. He lives in Fremont, California with his family.